Well-constructed ductwork is essential for the performance of a commercial HVAC system. Problems that may occur when ductwork is not installed correctly range from compromised air quality and potential mold growth to energy loss due to gaps and holes. What’s more, inadequate ductwork can cause an HVAC system to work harder, which can lead to damage and costly repairs. Tuckey Metal Fabricators, Inc. delivers custom ductwork and fabrication services that will maximize the performance of your HVAC system. 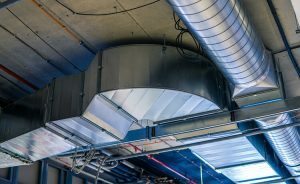 We serve the needs of building owners and general contractors looking for a reputable fabrication subcontractor to handle their ductwork fabrication. Headquartered in Carlisle, PA, we offer our premium custom ductwork design and fabrication services to companies throughout the Central PA region and beyond. At Tuckey Metal Fabricators, we have access to a wide variety of the latest duct fabrication equipment that enables us to deliver custom results for every client. We’re adept at the challenging process of sheet metal fabrication for ductwork using steel and aluminum. Galvanized steel is a popular choice for building ducts due to its superior strength and excellent corrosion protection properties. Aluminum offers a lightweight alternative that is easy to install. We will work with you to select the ideal material for your applications and budget. 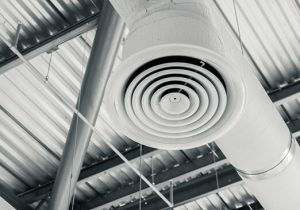 Understanding that no two commercial buildings are alike, we will take the time to develop and execute a custom ductwork design and fabrication project that meets your facility’s unique requirements, whether you are installing a new HVAC system or upgrading an existing structure. This will ensure the perfect fit and reliable long-term performance. Besides ductwork, we can also custom fabricate HVAC system parts and components such as duct elbows, transitions, offsets and more. When you choose Tuckey Metal Fabricators for your custom ductwork and fabrication projects, you get a reputable contractor committed to exceeding your expectations. Our team consists of dedicated professionals who have extensive experience in performing custom metal fabrication for industries such as HVAC, building/construction, food service, aerospace, specialty manufacturing and agriculture. The members of our management staff hold degrees in various industry-related disciplines, enabling us to provide expert guidance on all fabrication projects. 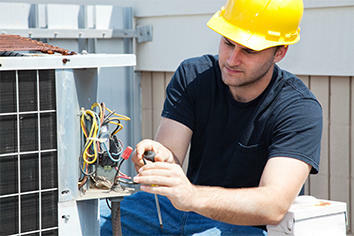 And you can always count on us for prompt, reliable field service including 24/7 emergency response when needed. We can also provide services outside of our immediate territory upon request. Contact us for more information and to schedule a no-obligation project estimate today.